Quality Custom Framing At An Affordable Price! 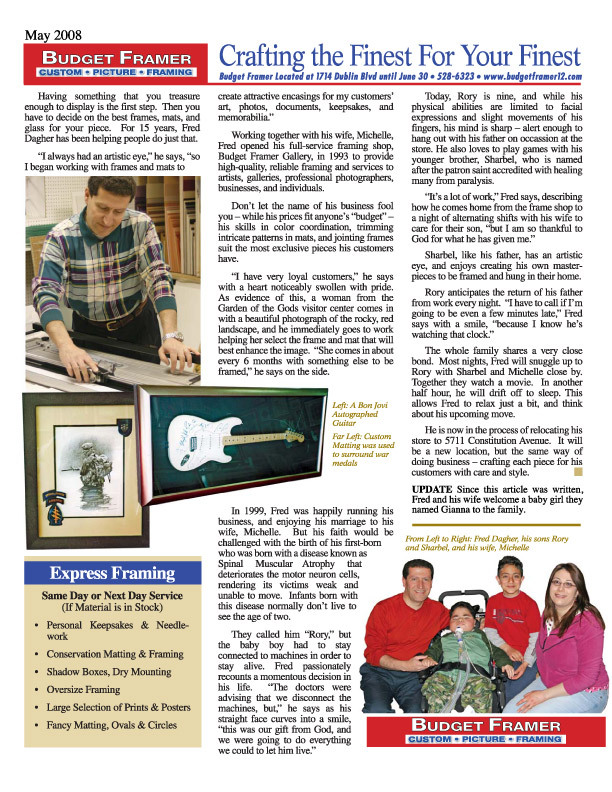 Budget Framer has been a family owned business since 1993. Budget Framer offers professional service and workmanship, with attention to detail and customer satisfaction. We will be happy to suggest just the right framing and matting to display your Artwork, Lithograph, Limited Edition Prints, Paintings, Diploma, Childrens' Masterpieces, Mirrors, Sports Memorabilia, Quilts or Needlework – anything you can think of to frame! 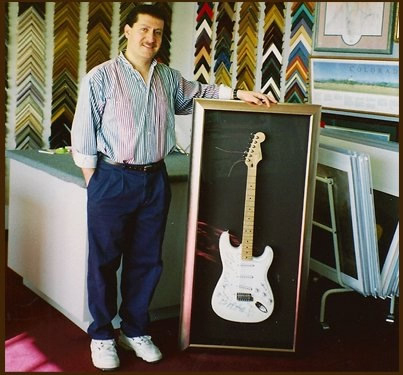 We specialize in framing fine art and conservation matting and framing, as well as shadow boxes. I am very thankful to God for blessing me with a business that keeps me close to my family, so that I can be available to them. And for blessing me with a business that provides the great people of Colorado with the service and quality they deserve for their own treasures.